Michelle Griffis battled debilitating headaches for more than a year. But after several neurosurgeries and care from a multidisciplinary team at Mayo Clinic, she’s made a full recovery. Now Michelle and her son are back to exploring their world together. Gloria Hughes endured episodes of terrible pain for more than a decade before a chance meeting between her local physician and a Mayo Clinic neurosurgeon finally paved the way for desperately needed relief. Diagnosed with a rare condition that affected her neck muscles, Peggy Lang suffered for years with debilitating headaches, tremors and dizzy spells. 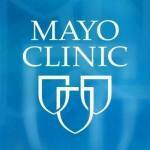 But surgery at Mayo Clinic relieved her symptoms, allowing her to enjoy life once again. When the position of his spine unexpectedly changed, 13-year-old Albert Mansour was unable to walk without discomfort. Using a unique surgical approach, Mayo Clinic surgeons were able to successfully repair Albert’s spine and relieve his pain.